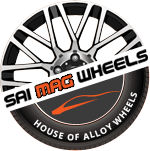 www.alloywheelsindia.com website ("Website") is an Internet based content and e-commerce portal operated by Sai Mag Wheels, a company incorporated under the laws of India. Use of the Website is offered to you conditioned on acceptance without modification of all the terms, conditions and notices contained in these Terms, as may be posted on the Website from time to time. www.alloywheelsindia.com , at its sole discretion reserves the right not to accept a User from registering on the Website without assigning any reason thereof. You will receive a password and account designation upon completing the Website's registration process. You are responsible for maintaining the confidentiality of the password and account, and are fully responsible for all activities that occur under your password or account. You agree to (a) immediately notify alloywheelsindia.com of any unauthorized use of your password or account or any other breach of security, and (b) ensure that you exit from your account at the end of each session. alloywheelsindia.com cannot and will not be liable for any loss or damage arising from your failure to comply with this Section 2. All content included on this site, such as text, graphics, logos, button icons, images, audio clips, digital downloads, data compilations, and software, is the property of alloywheelsindia.com or its suppliers and protected by Indian laws. All software used on this site is the property of alloywheelsindia.com or its software suppliers and protected by Indian and international copyright laws.